The painful loss of their friend and collaborator haunts TV on the Radio's newest album. However, the tortured and torturous love of Seeds are all products of a grieving band refusing to recede into themselves, brazenly choosing to affirm life. There has always been a recklessness underscoring TV on the Radio. Early on, it manifested easily in the band's approach to production and instrumentation, but deep inside its lyrics there has always been a careless abandon to the frequency and fervor in which Tunde Adebimpe and Kyp Malone will open and give of their hearts. The group's last album, 2011’s Nine Types of Light, found it still processing the lessons learned from 2008’s Dear Science and it became the most thematically static of their output. Not that it’s a bad album -- it is a natural follow-up to the expansive reach of Dear Science -- but you could feel that the beast had been tamed a bit. If you imagine Kyp and Tunde speaking as the same voice when they contribute a song to TVOTR, Nine Types of Light would suggest that our protagonist had finally settled into their skin. There’s an easy acceptance akin to ‘it is what it is’ rooted at its core that belies the burn of “Wolf Like Me”, “Red Dress” and “Ambulance”. Just a week after Nine Types of Light was released, Gerard Smith died of lung cancer. I can’t imagine and won’t pretend to know what it must have done to the band’s remaining members, as a collective and as individuals. His passing undoubtedly shook the group. Somewhere, in a way that a listener could never fully understand without knowing the band personally, the painful loss of their friend and collaborator haunts the band’s newest album, Seeds. 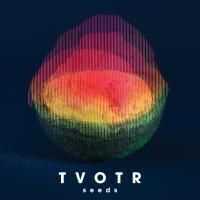 Most obviously, or most easily to discuss critically, though, Seeds represents a return to form and is a thematically complex addition to TVOTR’s rich discography. Though the production is cleaner and more focused than their early art-punk releases (Dave Sitek continues to be a visionary as Jaleel Bunton extends his already impressive skillset to take over bass duties), the most striking element of Seeds is the band’s raw energy. Perhaps what makes Dear Science such a rich experience is the ebb and flow of tracks that attack and defend as it is certainly the band’s most varied album. Nine Types of Light has its driven moments, but its overall pace is slower than its predecessors. While Seeds could have followed suit, could have been an understandably contemplative meditation on loss, it seems that the tragedy of Smith’s death gave the band an opportunity to affirm life. As flawed as the logic or impulses that reveal themselves across Seeds might be, they are unabashedly alive. The heartbreak, the anger, the tortured and torturous love of this album are all products of a grieving band refusing to recede into itself. This is where Smith’s presence (or absence) is most influential. In taking the opportunity to love and continue to risk loss after losing so much already, TVOTR honors and celebrates its friend’s life. Taken in as a whole, Seeds has an unconventional timeline, guiding us through the receding wave of one romance into the swell of another, cutting off just before the crest. The album opens with a question: “How much do I love you? / How hard must we try / To set into motion / A love divine?” Over a driving beat, we find Adebimpe in the freefall of artful desperation that he best navigates. He’s addressing his lover, fighting her doubt of his commitment and ability. He explains that “all I want is to love you better”, but its the recognition of this uphill battle that marks the beginning of the end. Internally, he distances himself from his pain retroactively, “Should’ve known by the way things started." If our protagonist does accept his lover’s leaving in “Careful You”, it’s not without sentimentality and even a little incredulity. He speaks to her in French and lingers too long on the goodbye, but he also bludgeons her with unfair questions of if and when they’ll talk next, if he should really leave, if he should let her do this. We’ve all been there. The adult in us takes in what’s happening, but the old hurts and demons keep us from fully accepting anything that will cause us pain. The denial and bargaining stages of grief, each taking a turn. Malone seems to make an impact as the next three tracks take a different tone. Adebimpe’s reflections penetrate deeper than where he last left us. “Test Pilot”, one of TVOTR’s most heartbreaking songs, reveals a new shade of Seeds as our protagonist begins to see things as clearly with his heart as he does through his intellect. Balance is achieved for a brief moment and this high of clarity cascades into the beginning of a new relationship (most likely with someone new, but it’s possible that we’ve made our way back to the former lover). “Love Stained” and “Ride” illustrate the internal alignment. Malone thinks that this won’t be a “brutalized romance or criticized slow dance” if “we’re not afraid to share this with careful awareness” while Adebimpe, “caught up in the feeling”, believes “There’s one sure solution / Leave it behind, it’s time to ride." The struggle between intellect and emotion continues. “Right Now” is a soulful compromise, as Malone allows sentimentality to seep into his otherwise staunch pursuit of love through logic, juxtaposing his want of physicality and connection with another person against “the imaginary need for silly things”. As the barrier between the head and the heart begins to break down, Adebimpe launches the final assault with “Winter”, a Dirtbombs nod that embraces the temporal yet overwhelming nature of feelings. If Malone is critical of the balance between his wants and needs, Adebimpe wields both for his purposes -- “Let the ocean take us over now / Gotta know that there’s a chemistry between us / Gonna show you that I want you and I need it." Then it all comes crashing down again. The engine overheats, the devil comes back around (most likely, the mismanaged hurt of the breakup outlined in the first tracks of the album) and our protagonist realizes “Oh, my ghost came a-calling / Making noises ‘bout a promise I had broken / Oh, I’m gonna be lonely soon." He makes peace with this in the final track, the titular “Seeds”. He recognizes that he is bound by his habits but he’s confident that his head is aright -- “Rain comes down, like it always does / This time, I’ve got seeds on the ground." It’s possible that he will finally take the time to learn the lessons he needs, now that he’s seen that he’s the common factor of his struggles with love. The sentiment also resonates with the idea turning a storm into a parent of new life. Overall, Seeds is more than what I had expected or could have hoped for from TVOTR. The band is as sharp and bold as ever, finding new facets of a sound it spearheaded more than a decade ago. If the album does have missteps (the occasionally clunky or over-sentimental line will mar a verse here and there), the flaws help round Seeds out as an exercise in being human. Though it may be another three years before we get their next release, this record should tie us over well.